Jan-Erick has practiced law in the area of workers' compensation since 2013. 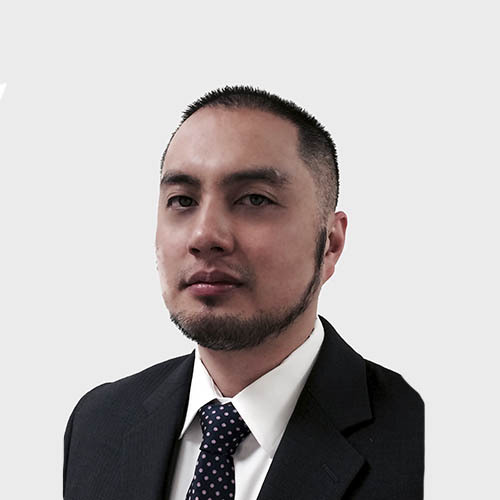 He was hired by Mullen & Filippi in 2015 to work in our Oakland office. Jan-Erick received his law degree from the University of San Diego, School of Law in 2010, where he received the Pro Bono Service Recognition Award. He also received honors and awards in oral advocacy, negotiation, and for his work at the USD Civil Legal Clinic. Jan-Erick attended college at the University of California in Irvine, where he earned a Bachelor of Arts in Criminology, Law & Society and achieved the Dean's Honor List. Jan-Erick is a member of the State Bar of California. I chose to practice workers' compensation law because of the close interaction it has with the field of medicine. I find this combination of the law and medicine fascinating. What I love most about being a lawyer are the relationships that you build with clients and colleagues. There are many interesting characters that you come across in our line of work that keeps things interesting and fun. I have many passions such as sports, food, and music. I enjoy exploring and discovering the city’s best cuisine, festivals and shows.